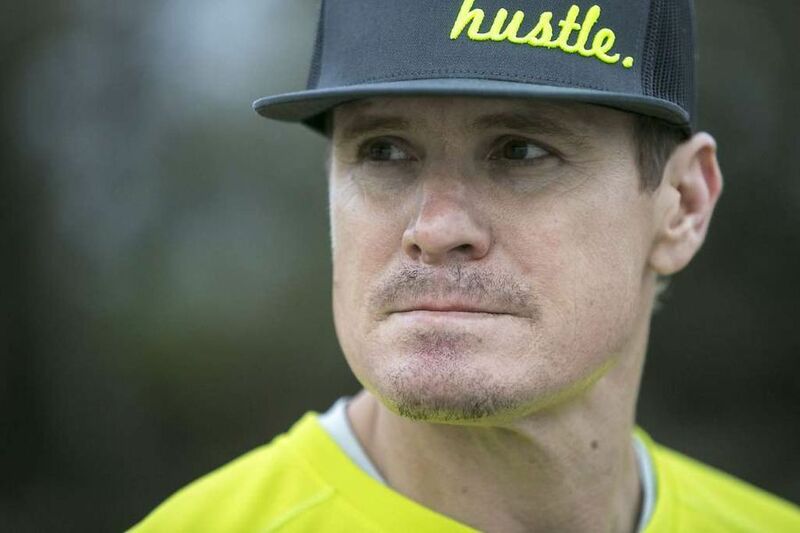 All his life, Eric Byrnes has been a “go-hard”—a free-spirited, freak of an athlete with the reputation as the grittiest of competitors in everything he does. Growing up in the San Francisco Bay area, he was the kind of kid who would charge into every sport he played—baseball, football, basketball, tennis, surfing … you name it. As a high school football player, he once sacked quarterback Tom Brady—yes, that Tom Brady—three times in a single game. As a college baseball player at UCLA, he hit .331 and banged out 75 doubles as one of the most successful hitters in Pac-10 Conference history and, perhaps more importantly, earned the Bruin Academic Award several times for having the highest GPA on the team. In the MLB, Byrnes was dubbed the “Human Crash Test Dummy” for the hustle and tenacity that made him a get-your-uniform-dirty cult hero during an 11-year career. Since retiring from baseball in 2010, he hasn’t let up at all. 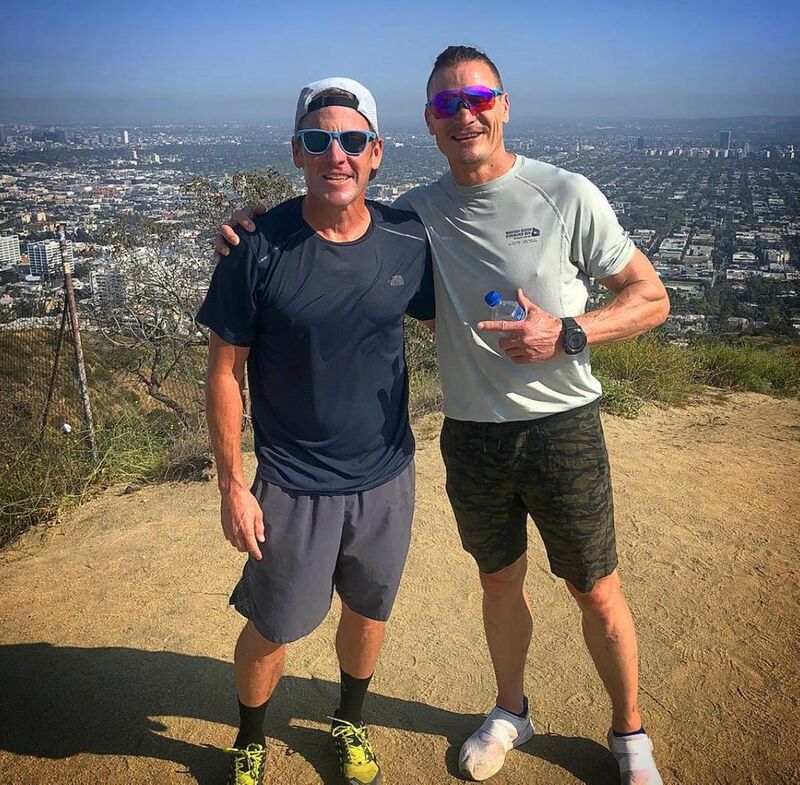 Although he has played a lot of golf and beer league softball, he’s also taking on a whole new range of challenges in the endurance world, ranging from Ironman triathlons to 100-mile running races. At 42, he looks and competes like a guy half his age, and his 6-foot-2, 200-pound frame is as ripped as ever. Despite all his success, Byrnes’ future wasn’t always so auspicious. He says he was nearly sidelined by a scholastic system that placed too much importance on standardized testing and a formulaic approach to herding students through the academic system. While Byrnes was earning a reputation for his athletic smarts and sensory awareness on the playing fields, he also suffered from ADHD, which affected his performance in the classroom. Fortunately for Byrnes, the school psychologist decided to test him again a few days later, after he’d exercised and eaten a balanced meal. She believed that exercise was a key to unlocking the neurological pathways in the brain, and that perhaps the results would be different this time. With school PE programs getting the axe due to district budget cuts nationwide—paired with the growing ubiquity of digital screens—Byrnes was fired to up take action. Recently, he and his wife Tarah launched the Let Them Play Foundation, a non-profit organization aimed at giving more kids opportunities to participate in sports and physical activity on a daily basis. But this isn’t a case of a retired pro athlete offering lip service, money and celebrity status to a good cause. True to his go-hard nature, Byrnes is going to tackle an epic 3,200-mile triathlon across the U.S. between late July and mid-September. Dubbed the Let Them Play Triathlon Across America, it will entail Byrnes swimming 7 miles across San Francisco Bay, riding roughly 2,350 miles from Oakland to Chicago, and then running some 850 miles to New York City. He’ll connect his baseball roots to the project by starting the swim in McCovey Cove on the back side of AT&T Park in San Francisco and finishing his journey at Yankee Stadium. Byrnes is encouraging runners, cyclists, swimmers, triathletes and supporters of youth sports to join him for parts of his transcontinental tri. The goal is to raise money for the Let Them Play Foundation, which will donate every dollar to national and local organizations committed to expanding youth physical education, after-school activity programs and athletic opportunities for kids. Giving kids a healthy start through physical activity is just one of Byrnes’ philanthropic passions. He has also been a very outspoken supporter of the Pat Tillman Foundation, and he recently completed the Leadville Trail Marathon—a brutal 26.2-mile trail race that starts at 10,200 feet and tops out at 13,300 feet—to help raise money and awareness for Warriors’ Ascent, an organization working to eliminate the suicide epidemic among American military veterans. Earlier this year, Byrnes, a father of three, also published a book called the “F* It List: Life Lessons from a Crash Test Dummy” to share with others the life-changing insights he’s learned along the way. It’s just another way Eric Byrnes is helping others re-imagine their potential to charge harder and live bigger.